Then, as I become an adolescent, my mother gave me a stack of books for a birthday, all in English (which is not my native language). I had just started learning the language, so half of them were in simplified English, but I obviously came to love the most difficult of all: Jane Eyre by Charlotte Bronte, in the non-simplified version. That was truly an eye-opener! The use of language, the description of miserable conditions, again the complexity of relationships (plus the mad woman in the attic), this book still remains one of the most treasured ones, because it showed what true craftmanship writing ought to be. It is serious business conveying messages that are not pleasing to the general public, bringing to the surface life as it really was, no romantic improvements, no ideal surroundings, just the harsh conditions that were reality for the majority of the readers. I appreciated the voice these people were given, as well as the introduction of such works to a larger audience. From then on, I mainly read classic works, and this habit holds true to these days. I am amazed at how many works I still haven't read and how impressed I still am when I read a new piece. As a young adult then, I came across the Tenant of Wildfell Hall, by Anne Bronte, the third in my list of favourites. After the content and the method, I now had a classic where I was interested in the author as well. The Tenant brought a dangerous topic in question: child and matrimonial abuse. I was at an age where I started doing background checks in the books I was reading: I got to read about Anne and her life as well as the reactions on this subject by society at that time but also by her immediate surroundings. I was totally mesmerised! The idea of a woman taking her life in her hands and "daring" to leave her abusive husband, protecting her child, brought out the feminist in me and encouraged me to seek out less-than-known writers and their works. I have never read Charlotte's web !! Definitely to add to my TBR list. Jane Eyre, yes! A great choice, as I'm sure are the others. I'm actually watching the newer movie version as I write this comment. 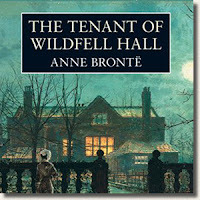 I have Tenant of Wildfell Hall on my list for The Classics Club as well as 1984 and Candide. Love all of your choices. I have to read Charlotte's Web again in your honor! Thanks a lot Jackie! Yes, the simple things in life are usually the best! "More than modern literature, which I also read and enjoy, classic works leave a much stronger mark on me and for a much longer period of time." That sums up how I feel perfectly! 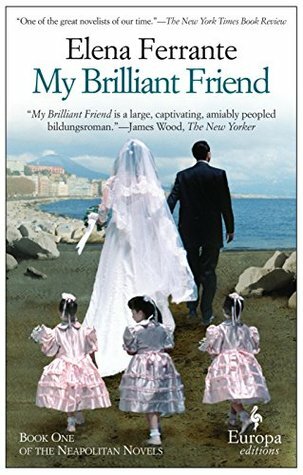 I probably read 10 or so "modern" novels for every classic I read, because modern novels are easy and fast after a long day, but the classics have the stories and characters that linger in your mind for years afterward. 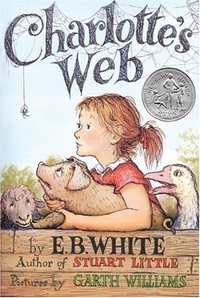 I love Charlotte's Web although I didn't read until I was an adult. The Tenant I read earlier this year and loved it too. Great choices. Thanks Cat - glad you enjoyed them! You know I'm with you 100% on The Tenant. Get ready for fighting for Agnes Grey on the next bookclub meeting. From the comments I heard during the summer dinner, we have a tough job ahead on us! you'll tell me all next week so that I prepare! I'm so intrigued by The Tenant; it sounds so far ahead of its time, a very important book. It's on my cc list also. 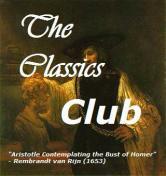 It's impressive that you read classics at a young age in a language that was not your native one! I think that proves that people who think classics are just too hard are just being lazy. Jane Eyre is one of my favorites as well. Tenant has been on my shelf forever - I've got to finally read it! thanks for your kind words Lindsey! Yes, I highly recommend the Tenant!